The Urban Afro Concept online store has finally gone LIVE!!! As a self-taught jewellery designer I’m always looking to improve and expand my jewellery-making repertoire. I initially got my start in this enterprise way back in 2011 and since then my skills have developed exponentially. I made a few earrings to feed my addiction for this type of jewellery with a few bits and bobs my mother, a fashion designer, had lying around. I’d gotten a number of compliments while wearing the stuff I’d made which got me selling to friends and family. I never would have imagined this collection of accessories made by my own hand would grow to this level. The accessories I’ve made for the UAC line are a reflection of my own Afroccentric personal style. Every single piece is special to me. It makes me incredibly happy when my customers enjoy wearing the jewellery as much I love making it. The collection now consists of earrings, bangles, bracelets, necklaces, rings and hairbands. I also recently expanded it to include some stuff that both men and women can enjoy. Which brings me to the launch of the e-boutique. The new Urban Afro Concept website has gone live and I am absolutely ecstatic! I still can’t believe how far I’ve come. UAC fans can now shop my online store at www.urbanafroconcept.co.za for all the little gems I create. I’m so thankful to all the wonderful people in my life who have supported me on this journey from making two pairs of earrings to developing a fully-fledged online store. I can’t wait to see what the future holds for UAC. 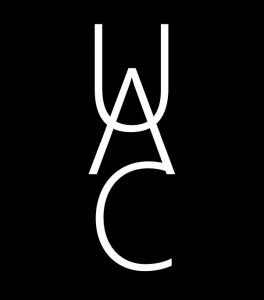 For now, please check out my site to browse the UAC lookbook and shop the store for the latest in my collection. Orders within East London, Eastern Cape. Get R50 off* your first purchase when you follow this blog on WordPress or subscribe to it via email. *R50 off purchases of R150 or more. By clicking “Follow” you are accepting our Terms & Conditions. This voucher is issued for the first time you subscribe only. Voucher is valid for 30 days and cannot be redeemed against items already on special or sale. Previous Post LOADING…the Urban Afro Concept e-store goes live in 3 days’ time!